Day two of our trip could not have been more amazing. We had 9 interviews today, which were all emotional and eye-opening. Our first interview was with a lawyer at the Iowa Coalition Against Domestic Violence. Then quickly drove over to the the Iowa Department of Corrections, where we learned about support groups in prison, the parole board, and overall crime statistics in Iowa. 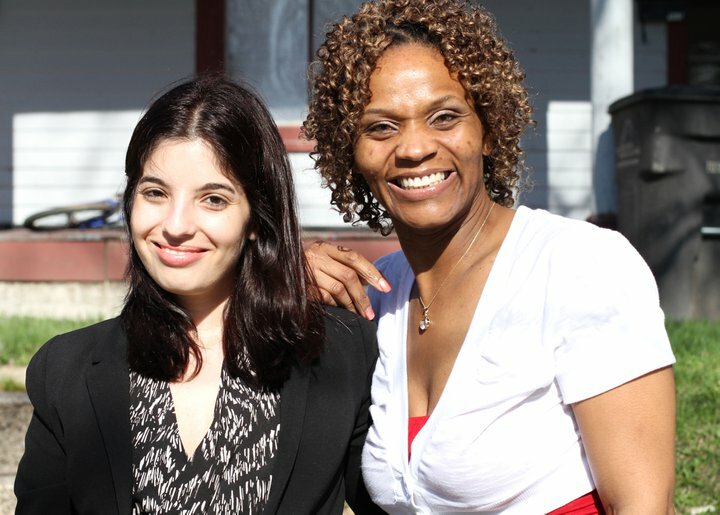 Afterwards, we met Felicia, a former inmate at ICIW, who was in the feminism course featured in the documentary. We were able to spend several hours with her–seeing her house, picking up her son, and meeting her mother. We then finished the night with 4 members of the Homicide Survivors Support Group at the Polk County Crisis and Advocacy Services Center. No matter what background or story these people had to tell, they all came to the same conclusion that the “grey area” exists.